Christmas is a special time of the year. It can be a sweet and memorable delight, but it can also be a stocking full of extra pressures and demands. Gifts, store bought and homemade, decorations and preparations, food and traditions; they all take time and money. At times it can become overwhelming. 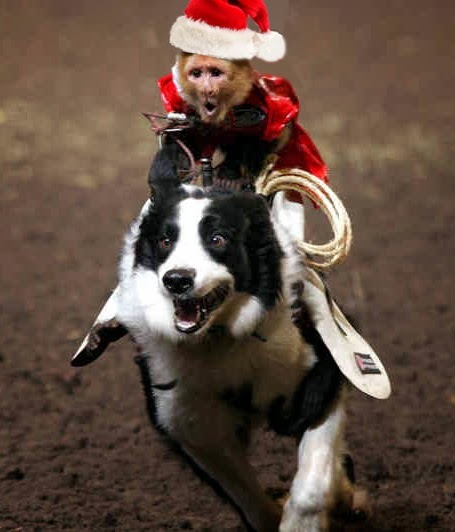 It can feel like a frantic ride—kind of like a monkey riding a sheepdog at a rodeo. It can be crazy. It’s not always easy to squeeze in reading time during this busy season. I was going to review more Christmas books just to get into the spirit, but I find myself short on time and patience. As Sweet Brown would say, “Ain’t nobody got time for that.” It seems the quest to find a good Christmas book has become an extra stress. I did manage to read one more book with a Christmas setting, and it was cute—but maybe too cute. In the end it seemed geared toward a much younger audience, and I just couldn’t wholeheartedly recommend it. So for Christmas book recommendations, I am coming up empty-handed. And instead of adding that unnecessary pressure, I decided to skip Christmas books and just go where the wind blows me. This is a book that is assigned reading in many classrooms. But just as youth is wasted on the young, many books assigned in school are not appreciated as much as when you read them again as adults. Although I believe students may welcome the brevity of the book, adults will value the content. I did. 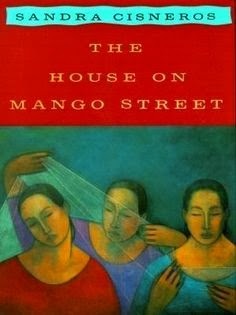 Sandra Cisneros, The House on Mango Street (New York: Vintage Books, A Division of Random House, Inc., 1984), 33. …Diseases have no eyes. They pick with a dizzy finger anyone, just anyone. Sandra Cisneros, The House on Mango Street (New York: Vintage Books, A Division of Random House, Inc., 1984), 59. People who live on hills sleep so close to the stars they forget those of us who live too much on earth. Sandra Cisneros, The House on Mango Street (New York: Vintage Books, A Division of Random House, Inc., 1984), 86. One day I’ll own my own house, but I won’t forget who I am or where I came from. Sandra Cisneros, The House on Mango Street (New York: Vintage Books, A Division of Random House, Inc., 1984), 87. Another book to put on my ever growing reading list. Thank you as always for all the time you put into your review, I love reading your humor! !